Designed for use in metal building walls and roofs, the OptiLiner® high-R system features an exceptional vapor retarder, an enhanced acoustical environment (both inside and outside of the building), and attractive finished appearance, with a bright interior finish which may allow for reduced lighting loads. 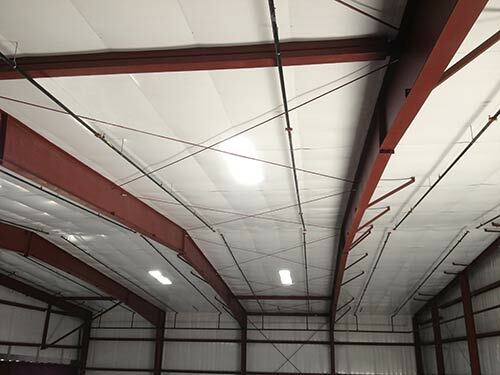 The high-R metal building insulation system uses a series of 1-inch galvanized steel straps to support a bright white or black polyethylene fabric that serves as the low permeance vapor retarder. 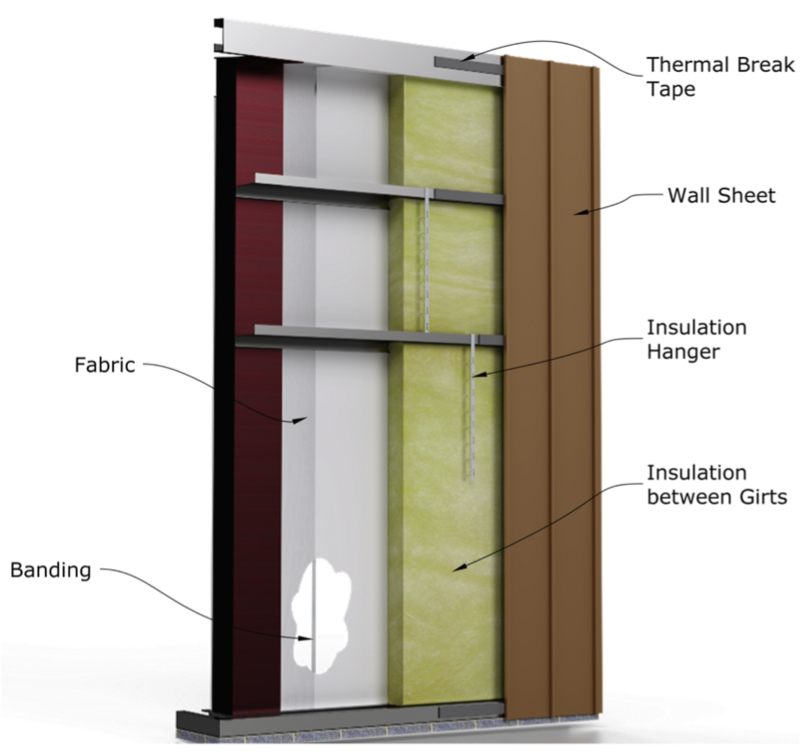 The fabric sections are custom fit for each bay to ensure a swift installation and a clean interior finished appearance, which allows roof cavities to be completely filled with uncompressed insulation and maximizes thermal performance. One of the difficulties in meeting code compliance for the building envelope is to prove the insulation system or application you are using meets the thermal performance (U-Value) listed for the specific code that applies to your project. This is not an issue with the OptiLiner® system since it meets the definition of Liner System (Ls) as described in the latest version of ASHRAE 90.1, which is also referenced by the IECC (International Energy Conservation Code).